The Scottish Pelagic Fishermen’s Association Ltd (SPFA) has been promoting and protecting the interests of the Scottish pelagic fishing fleet for the last 85 years at national and international level. 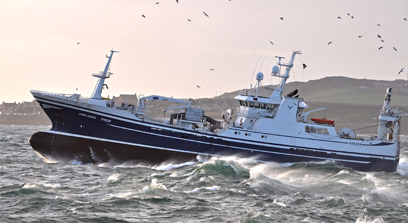 The Scottish pelagic fleet remains at the forefront of European pelagic fishing and the primary activity of SPFA is to represent its 22 member vessels at both the political and fisheries management levels, and to ensure a sustainable future for pelagic fisheries. The membership is based at three branches located at Fraserburgh, Peterhead and Shetland. 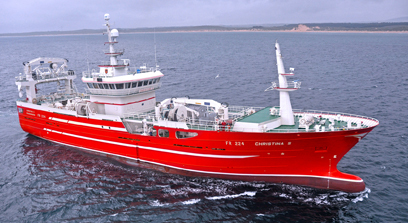 The sector’s main fisheries are North-East Atlantic mackerel, North Sea, West of Scotland and Atlanto-Scandian herring and Northern blue whiting. SPFA takes its sustainability responsibilities seriously and is a member of the Scottish Pelagic Sustainability Group which has driven forward a number of sustainability and responsible fishing initiatives since it was established in 2007. These include MSC Certification of North Sea herring, Western mackerel, Atlanto-Scandian herring and blue whiting. Through its connections with organisations such as the Scottish Fishermen’s Federation (SFF), North East Fishermen’s Training Association (NEFTA), Shetland Fisheries Training Association (SFTA) and Seafood Scotland, the Association ensures there remains strong emphasis on safety at sea, fishermen’s training and catch quality. With a proud history stretching back over 85 years, the SPFA has been at the forefront or representing Scotland’s pelagic fishing sector. Our pelagic fishermen are investing in marine science projects to enhance our knowledge of mackerel and herring stocks. Herring and mackerel taste great and are nutritious too! SPFA have sourced a selection of delicious recipes for you to try.